Cyber attack is an attack on computers and computer networks that alter, disables, steals, destroys or tampers with your assets. 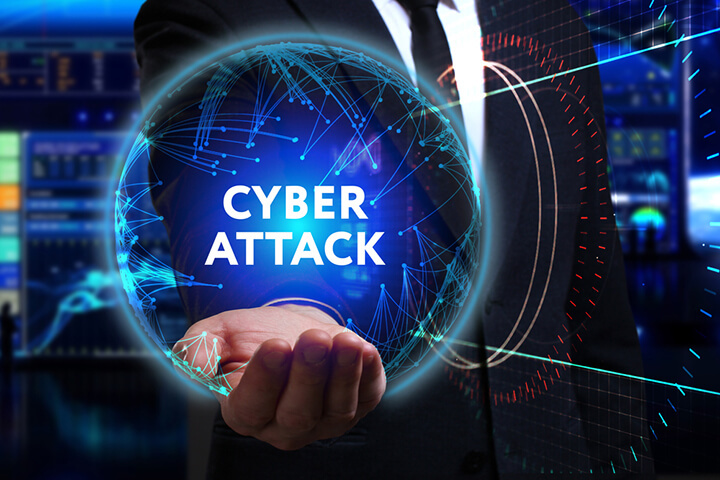 There are two types of cyber attacks, depending on the content that is attacked, it is differentiated into cyberwarfare or cyberterrorism. Cyber attacks may be initiated from an anonymous source, they hack into your files, which may be personal or business content. Cyber attacks can range from installing spyware on a personal computer to attempting to destroy the infrastructure of entire nations. Experts are working in order to minimize the damage and to control the rate of data breaches and hacks. These cyber attacks are a serious threat and are very dangerous, hence you should know how to deal with the cyber attacks. One of the very first things to prevent any cyber attack, you should have an automated incidence response. This type of response basically detects and responds to security threats automatically. With limited or even zero human interaction, the security threat is dealt with. An automated response is one thing, other than that, if you are a company owner or a businessman, so should be ready to deal with any such situation that befalls you. Form an incidents response team, that should include a data protection expert, a tech team, and intellectual property experts. All these experts would be very helpful in recognizing the threat in time, and to protect your system and files in time. The next step that should be adopted by everyone, no matter if you are a company or an individual who hopes to keep his/her computer safe from any type of breach. You need to secure your system to minimize the damage done. This would mean that you might have to isolate and then work on the network temporarily to gain it back. Ensure the continuity of your business and then solve the problem in your isolated compromised system. Also Checkout What are the top 3 reasons for hiring an Ethical Hacker! After you’ve isolated the system, then start conducting the investigation. Investigate the problem and the activities around the breach. The effects and remedies of the breach. Provide appropriate resources for the investigation, keep in view the applicable labor laws and get your HR team included in that investigation. Now once you’ve started investigating in your own company or office, this was the first step in your investigation. Next is that you get help from law reinforcement companies. Although most jurisdictions do not (yet) have a specific and all-encompassing cybersecurity law, there is often a patchwork of laws and regulations that have developed in response to evolving threats. Cyber attacks are one of the most common crimes happening nowadays. With everything being online or computer-based, with all the things being stored on hard drives or data basis, our data has become more susceptible to damage, alteration, or hacking. Hence we should always be prepared for what is coming our way, we need to have a plan. Other than plans we need to know the laws that are applicable to cyber crimes. We need to know our rights and how they are or may be violated. So this was how you are expected to react to cyber attacks.